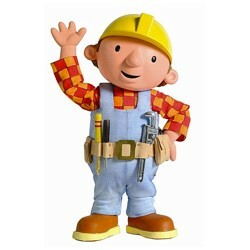 There is a funny children’s cartoon character called “Bob the Builder,” and he has this phrase that he repeats: “Can we do it? Yes, we can!” If only that were true in real life! I remember times in my life as a tech director, and even as a lay leader in church, where I would get to the point that I just could not go on any more. I couldn’t do it. I was burned out; I had had it. I was angry, irritated, and annoyed by every little thing. What was the root cause of this feeling? Was it that the job was too hard for my skill level? Was it that maybe the leadership over me needed to have their heads examined? Maybe it was the fact that the timeline, budget, and requirements were “off the wall”? Those thoughts all went through my head. And things took their normal sinful turn. I began to focus my anger at someone. It was always the choir director’s fault, or that this pastor needed to have his head examined, or that no one a clue what I’m doing, or here I am slaving away and everyone else is at home sleeping! Things got so bad that I hated the very thing that God had gifted me to do! I hated everything that had anything to do with technical ministry. I was in bad shape. But when things were at the lowest, a young pastor took me to lunch, and he told me the truth. He had observed all of this over the years and had seen me coming apart at the seams. I began to talk to him about my problems with everyone else, and why they were so bad to me. I went down my list of everyone’s faults, and this and that. He listened patiently for a while, but eventually he asked me why I believed that I was in the right here. So I began to justify myself and tell him that I was at church more than the pastor; that no one puts in as many hours as I do in the ministry; that if the church needed gear and wouldn’t buy it, I would even though I was bankrupt because of it; and that nobody seemed to care about any of it. But I was the tech that when folks said it could not be done for whatever reason, I could come and get it done! This pastor kindly looked at me and asked me to listen, then he said, “God does not want your work. God does not want your money. God does not want your time…” and the list went on, shooting down everything I thought I had been giving God! But then the pastor paused and said, “The one thing that God wants most, you’re not giving Him… you. I sat there stunned. I could not believe it; the conviction was just enormous. I was doing everything in my strength, trying to make things happen for me, to increase my popularity, I was trying to climb the ladder of success my way. It was all for me. And oh yeah, I’m doing it in the name of God’s service. The Scripture is filled with examples of people who tried to do things “their way.” It never ended up well for them, so why was I so foolish to think it would work for me? My pride was my problem. So what was the root cause? It’s simple. Pride, with a capital I in the middle. I was guilty, and maybe you are too. We all need to all search our hearts and see if that monster is within us! Unfortunately, I’ve found that it’s often something that us AV techs particularly struggle with. Ask the Lord to show it to you. If He reveals it, do what needs to be done to get rid of it. There is a Bob Newhart skit from back in the day where this lady comes in with all these “ailments” to see the doctor. His answer to all her “problems”? “Stop it!” How true that is. We have the Bible! We have Christ who gives us the power to “stop it,” because we certainly can’t in our own strength. To think we can is evidence of, you guessed it, more pride. We have people around us who are masters of the Word if we are not, and your ministry certainly should have folks apt to counsel. We know what to do, why don’t we do it? I’m embarrassed to air my dirty laundry… again… pride. Christ is our ultimate example, and in Philippians 2 it says, “He humbled Himself.” The God of the universe “humbled Himself,” and we go around thinking we are something special? Let’s take a look at what we are doing in our lives, and let’s evaluate our own work to see if we are full of the Spirit, or full of ourselves! Can we do it? In our own strength, no we can’t. But with Christ, yes we can!